The Ministry of Internal Affairs will merge 631 communal administrative units and 16 district-level units by 2021. Hanoi (VNA) - Merging administrative units must be conducted in line with streamlining apparatus, personnel and improving the quality of state officials, according to Deputy Minister of Internal Affairs Tran Anh Tuan. Per resolutions from the Politburo and National Assembly Standing Committee, the Ministry of Internal Affairs aims to merge 631 communal administrative units and 16 district-level units by 2021. The units to be merged do not meet criteria in terms of natural area and population for their current classification. At a meeting to collect feedback on a draft local administrative unit arrangement project this week, leaders of localities agreed that rearrangement would make positive changes and bring into full play each locality’s potential. However, the overhaul requires localities to reach consensus. From Hanoi’s experience of adjusting administrative boundaries more than 10 years ago, Deputy Secretary of the municipal Party Committee Ngo Thi Thanh Hang said the rearrangement exploited the capital city’s potential and improved local livelihoods. There should be common rules and criteria for the rearrangement and localities must study and consider economic structure, infrastructure connection, geographical location, local cultural and historical factors before merging, she said. “The rearrangement should be conducted step by step to avoid causing disorder and affecting political task implementation during 2019-2020,” she said. Locality leaders expressed concern over public officials and servants being made redundant after the mergers. 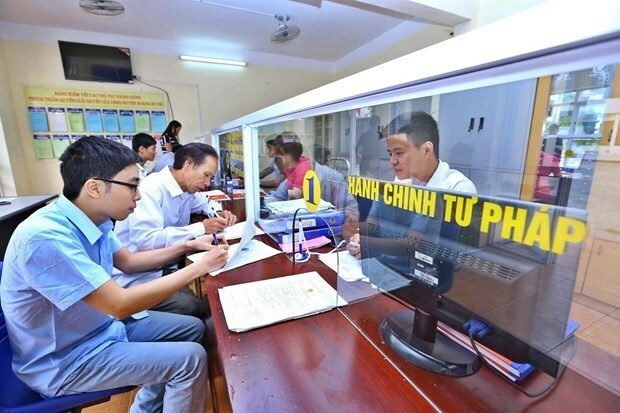 To address redundancy, Deputy Minister Tran Anh Tuan said local Party committees and authorities should review and categorise public officials and servants based on their capacity. Officials who fail to take on assigned tasks will be made redundant. Others who are qualified should be offered other jobs or chances to apply for jobs at other units. The rearrangement must also ensure for those continuing their work must be compensated at a least the same level as previously, he said. Besides district and commune-level administrative units, the ministry encourages localities to merge as long as they ensure stability and receive consensus from local people. The deputy minister said the Government is looking towards building e-Government and using technology in State office activities. District and commune-level administrative unit rearrangement aims to make the apparatus adapt to technology. Minister of Internal Affairs Le Vinh Tan said the ministry would try to submit the draft project to the Government for approval by the end of this month and hope to begin the merging process next month.